“If a dog’s prayers were answered, bones would rain from the sky” -Turkish Proverb. Giving raw bones to your dog is one of the best things you could give him/her for many reasons. Not only are they nutritional (which of course is a large part of their value) but they are an excellent toothbrush, meal replacement, and mental stimulant. Raw bones clean teeth like no other chews in the world. 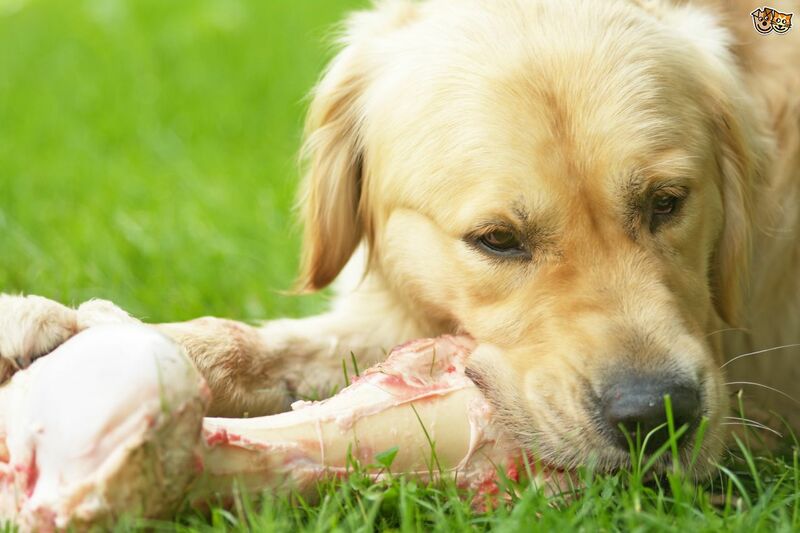 Raw bones can take a long time to chew and when your dog has eaten all the meat, the bone can last for weeks! Raw Bones are rich with minerals such as calcium and phosphorus. Raw Bones remove plaque naturally and helps to keep gums and teeth strong. Chicken cartilage such as wing tips, feet, and carcasses are great for added glucosamine in your dog’s diet. Meaty bones can be used as a meal replacement. Raw Bones are a great mental stimulation/chew therapy for your dog or puppy. “Toothbrush Bones”: Bones such as knuckles (the knee bones), or ribs are best for cleaning teeth because of their shape and the meat on them acts like floss! “Recreational Bones”: These bones can also be knuckles, shanks, or femurs that due to their shape and composition, provide hours of chewing action. 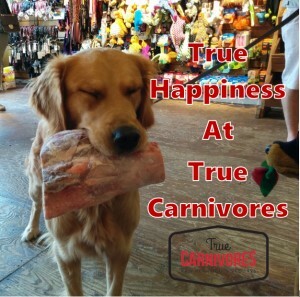 “Meal Replacement Bones”: Bones such as Elk necks, Lamb necks, Turkey necks, and Beef meaty femurs have tons of meat so your dog’s get a tasty and stimulating meal! Aggressive chewers should be given softer bones in case they over chew and grind their teeth down. Soft bones include knuckles, chicken bones, turkey necks, rib bones, and other small animal bones. Remember to ALWAYS supervise your dog with a bone until you know what kind a chewer they are. Dogs will attempt to hide their bones by burying them so that they ferment. This completely normal and healthy for your dog! Choose the right size bone for your dog: If you are not sure which size of bone to get for your dog, choose a larger size to be safe. A bone that is the size of your dog’s head is a good start and once you know what kind of a chewer your dog is you can head to smaller sizes. First time bone chewers such as puppies should be taught how to eat a bone. Choose a stick shaped bone such as a turkey neck, or beef ribs. Hold one end of the bone and let your dog chew on the other and pull away if it seems like your dog will try to swallow the whole thing! Through this process, much like a mother wolf might, you teach your dog how to patiently enjoy a bone. Given enough time, your dog will eat the whole bone! If your dog eats too much bone however, their stools may come out chalky and hard or if the bone was too rich they may have loose stool. If you suspect they ate too much adding pumpkin to their meal will do the trick. To avoid eating too much bone, you can give it to them in several sittings so that they don’t eat the whole thing at once. Should I Cook The Bones? Cooked bones are dangerous as they become very hard and brittle which increases the likelihood of them breaking and splintering into sharp pieces. 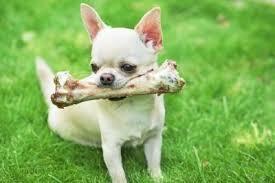 Cooked bones are also very difficult for dogs and cats to digest as the bones lose all of their nutritional value.